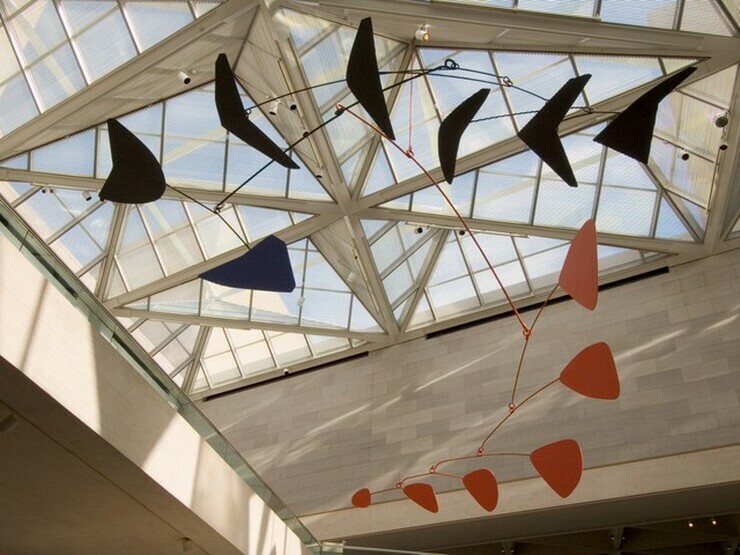 Perhaps no artist has a larger presence at the National Gallery of Art than Alexander Calder. 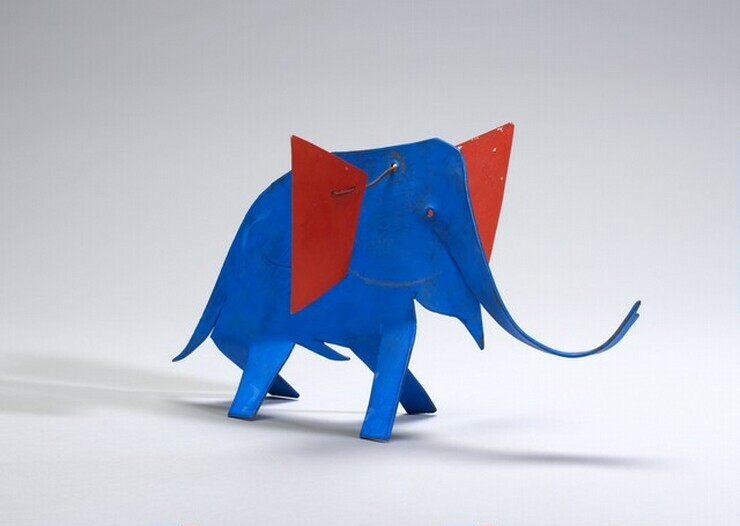 His monumental mobile, commissioned for the opening of the East Building, has become nearly as iconic as the building itself. 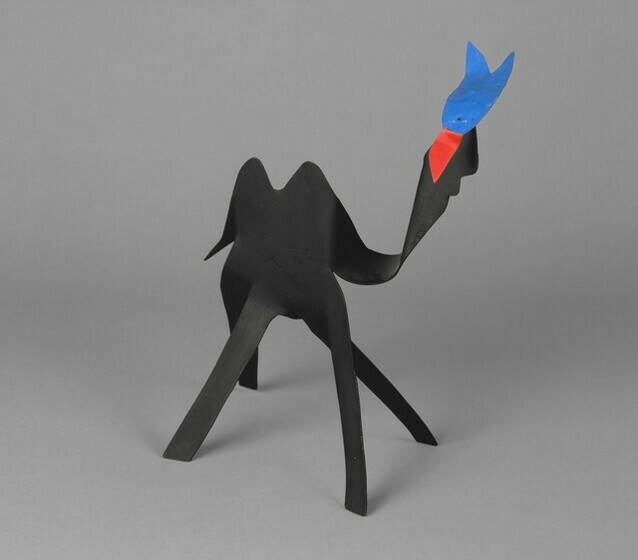 A part of the East Building renovation and expansion, the Gallery’s Tower 2 galleries boast the world’s largest display of works by Alexander Calder with more than 40 sculptures and paintings, spanning the late 1920s through 1976, including 19 long-term loans from the Calder Foundation. 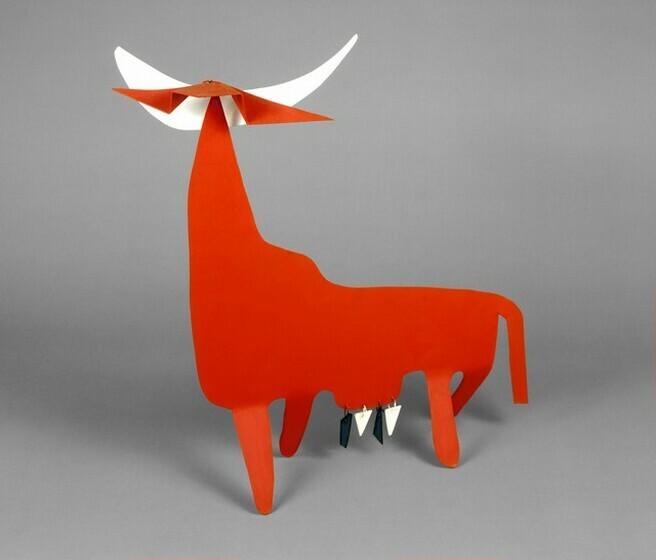 This program is coordinated with the Calder Foundation. 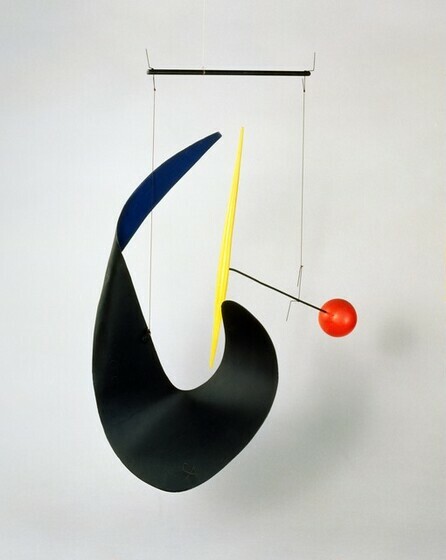 After a 1930 visit to the studio of Piet Mondrian (whose work is on view on the Upper Level), Calder was inspired to create a series of oil paintings, seven of which are in the Tower installation. 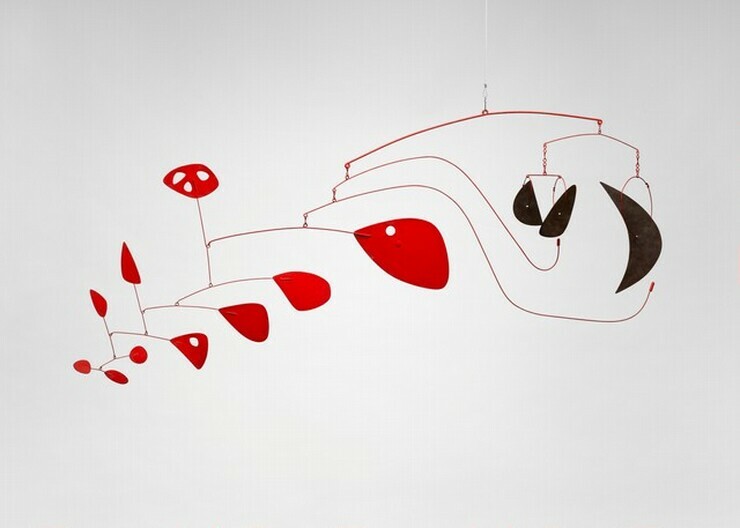 Calder was impressed not by the Dutch artist’s paintings but by the total studio environment he had designed. 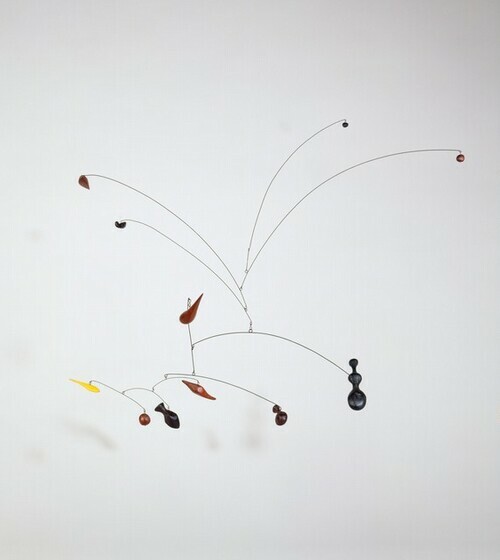 Preceding Calder’s invention of the mobile, these paintings are remarkable representations of his first venture into abstraction and do not resemble anything else within Calder’s oeuvre. 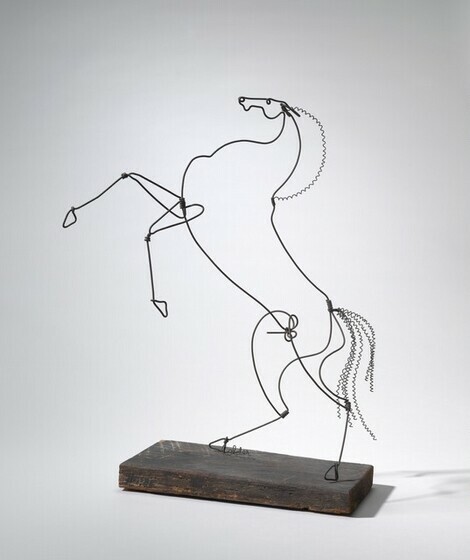 In fall 1931, Marcel Duchamp paid a visit to Calder’s studio in Paris to see the younger artist’s latest works: abstract, motorized sculptures in wire and wood, which Duchamp famously dubbed “mobiles,” referring to both “motion” and “motive” in French. 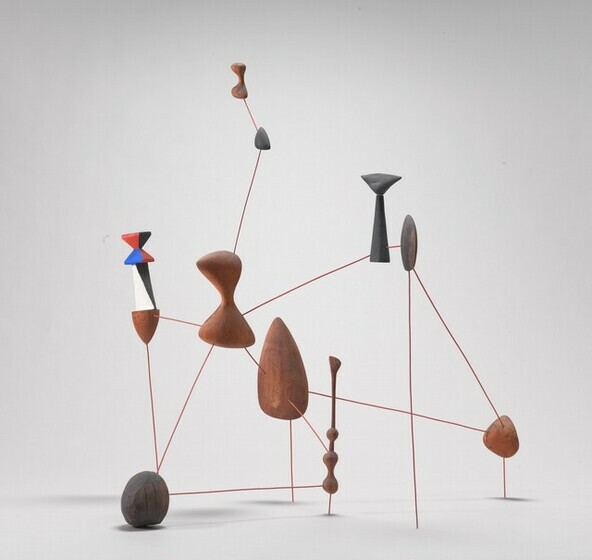 In summer 1934, just a year after moving to Roxbury, Connecticut, Calder made his first standing mobiles for the outdoors, prompting further development of monumental works. 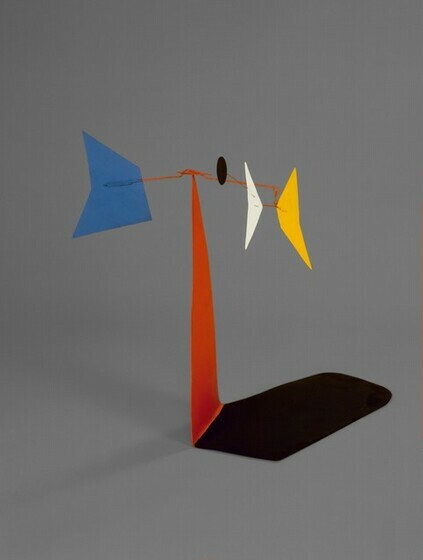 As Calder recounted in 1937, “I have made a number of things for the open air. 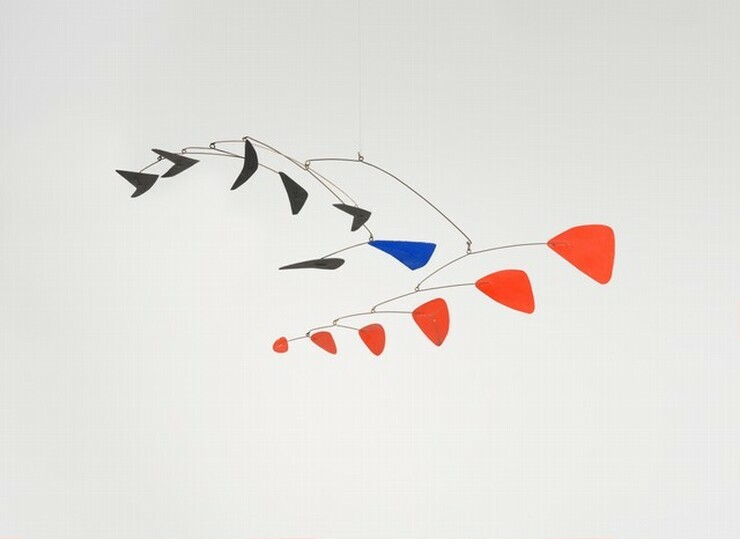 All of them react to . 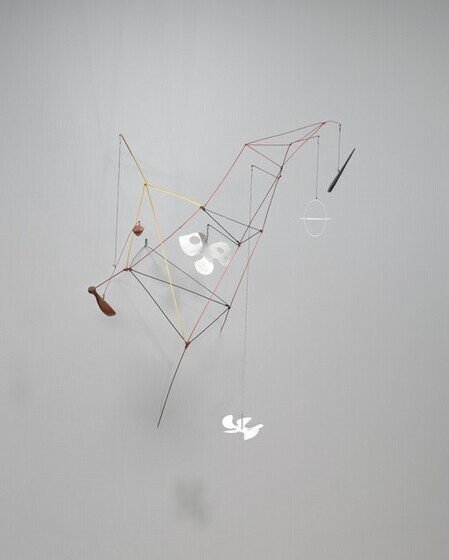 . . the wind, and are like a sailing vessel in that they react best to one kind of breeze.” Other standing mobiles on view, intended for display indoors, include Small Feathers (1931), Little Spider (c. 1940), Rat (1948), and Four White Petals (1960). 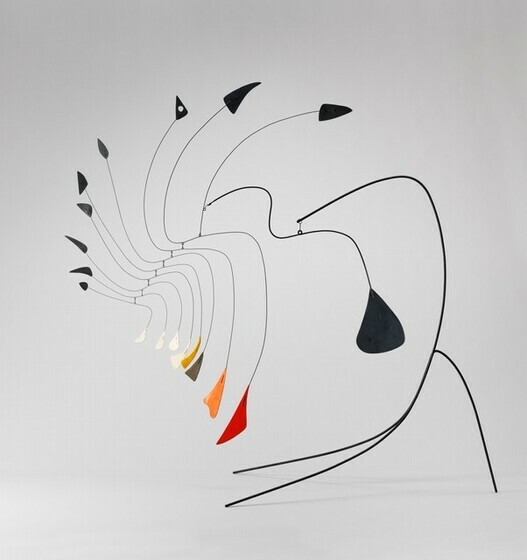 In the mid-1930s, in addition to developing his classic mobiles—many of which are dramatically presented in the Tower—Calder began to work on frames and panels that explored the concept of three-dimensional paintings in motion. 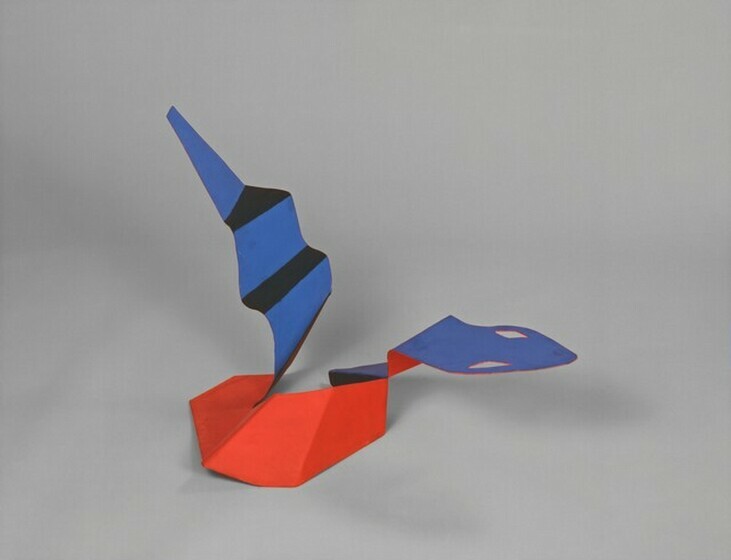 Instigated by either natural forces or human intervention, movement of these compositions results in flashes of forms and colors, a complex choreography of elements that blurs the line between circumstance and permanence. 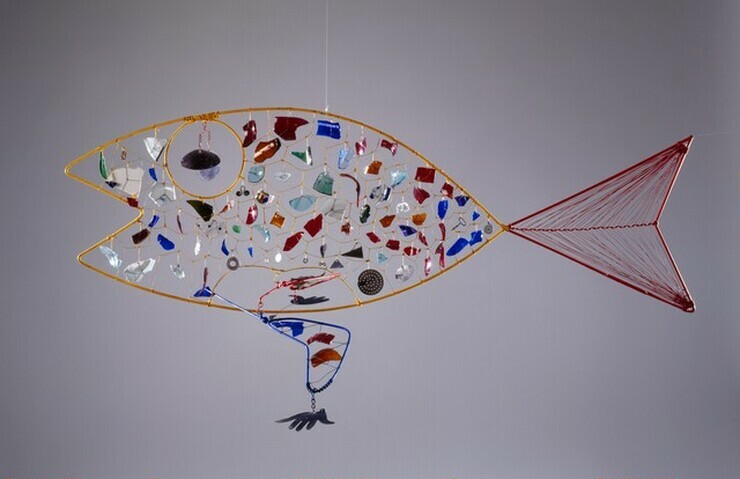 Red Panel (1936) constitutes Calder’s largest “painting in motion.” The installation also includes Finny Fish (1948), which is made of wire, glass, a spoon, and a sardine-tin opener, among other objects. 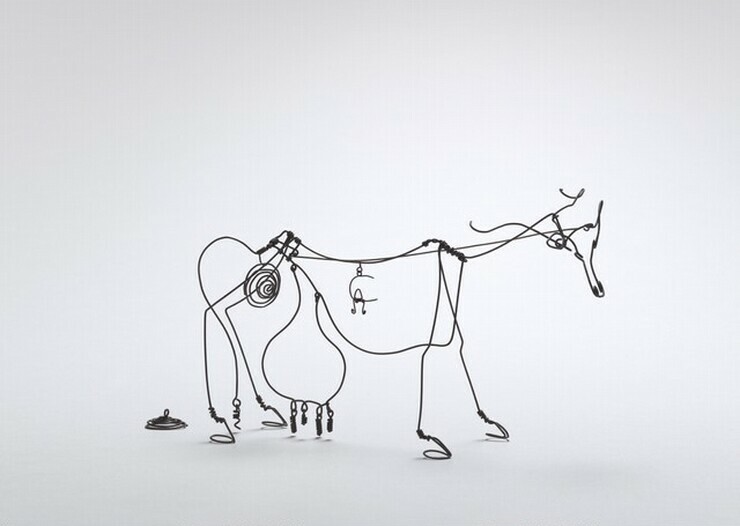 Several impressive “stabiles” are also on display, including Ruby-Eyed (1936) and Sphere Pierced by Cylinders (1939), as well as “standing mobiles” such as La vache (1970) and Crinkly Taureau (1970). 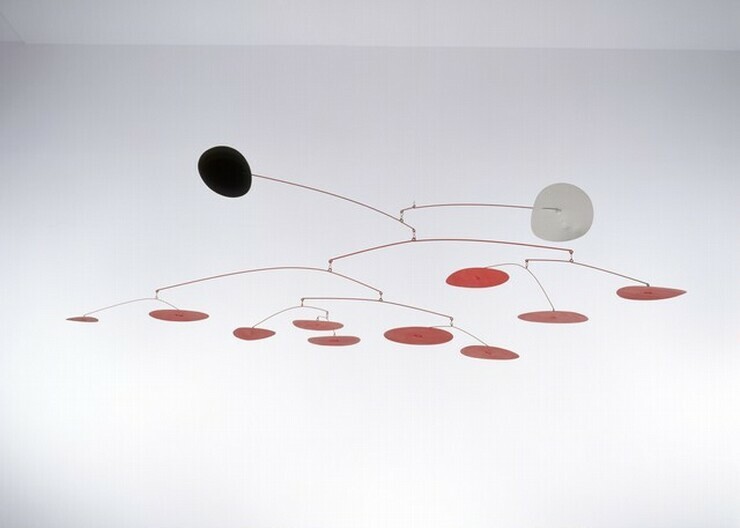 Another highlight, on loan from the Foundation, is Eucalyptus (1940), a majestic hanging mobile that exemplifies Calder’s mature vocabulary. 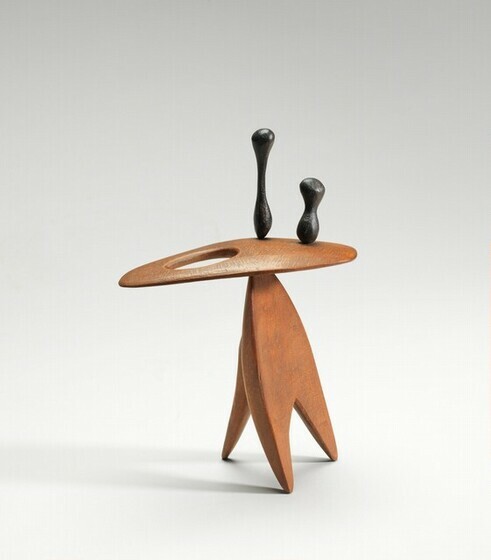 With a large, surreal element hanging in palpable tension with the floor, Eucalyptus premiered in Calder’s 1940 exhibition at Pierre Matisse Gallery and went on to be included in nearly all of the major exhibitions staged during the artist’s life. 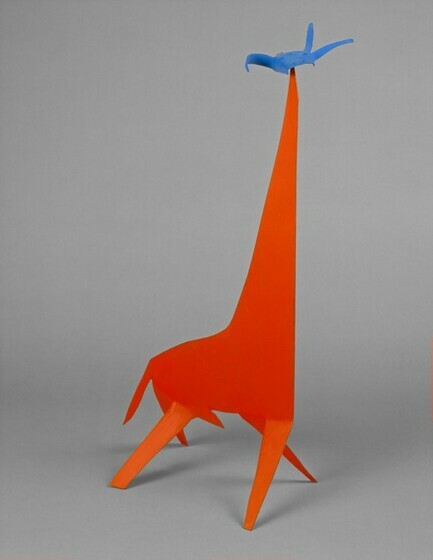 In addition to the works in the Tower 2 gallery and the atrium mobile, three Calder sculptures can be found around the Gallery’s campus: Obus (1972) was recently installed in the West Concourse Gallery; Tom’s (1974), on loan from the Calder Foundation, is on view outside the 7th Street entrance; and another loan from the Foundation, Cheval Rouge (1974), is installed in the Sculpture Garden. 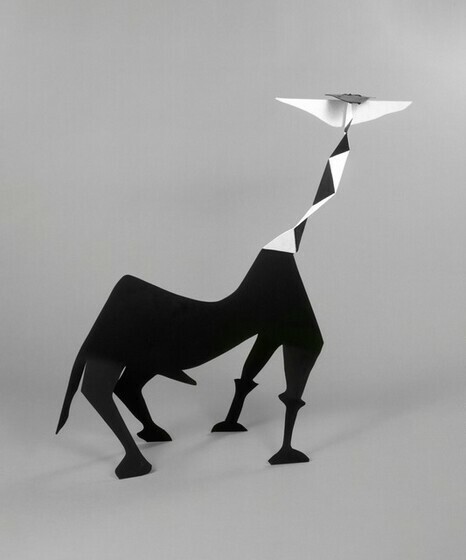 To view an enlargement, click the images below. 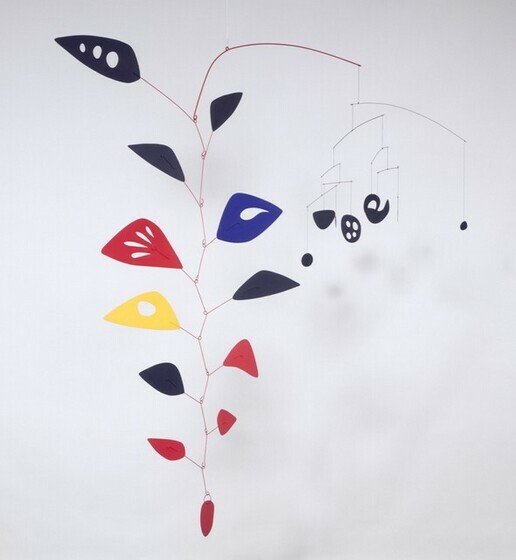 Alexander Calder, Untitled, 1930, oil on canvas, Calder Foundation, New York © 2016 Calder Foundation, New York/Artist Rights Society (ARS), New York.